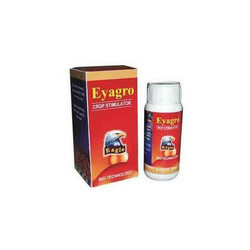 Eyagro Plant Crop Stimulator are flower increasing stimulators and also reduces pre falling of fruits and flowers. The composition of the stimulator is carboxylic acid, Amino Acid, Nitro Benzene and Emulsifier. Activer Muscular Biostimulant is a combination of GA3, Carboxylic Acid and Folic Acid. To increase no. of flowers and to prevent pre-dropping of fruits & flowers, also develop fruit and leaf size, color and shape, formation lateral branches, fruits and then give high yield. Looking for Plant Growth Promoters ?